Our Daily Manna ODM Today 9 February 2019 – STOP THE WEEPING! YOUR “MATTHIAS” IS COMING! TOPIC: STOP THE WEEPING! YOUR “MATTHIAS” IS COMING! Vs. 16 of today`s scripture says: “Then the eleven disciples went away into Galilee, into a mountain where Jesus had appointed them.” The Holy Ghost wants you to note the word: ELEVEN! Note that it was TWELVE that He called but only ELEVEN lasted to the end till Judas, the missing one was replaced! The LORD is speaking to a user of today`s devotional: Some people may leave you from time to time to time! Some will BETRAY you like Judas and leave you! Some you have helped in the past may turn against you, but never forget that the LORD still appeared to the ELEVEN even without JUDAS! Wow! One or two people that leave your life or ministry cannot stop God`s agenda for you! In fact, a million men or demons cannot stop the LORD`s move in your life and ministry! Now catch this: in Acts 1:25-26, JUDAS was numbered with the eleven apostles! Oh, glory to God! Oh! Thank you Lord Jesus! NOBODY is INDISPENSABLE to you concerning your life and ministry! NOBODY and NO BETRAYAL can stop God! NOBODY who left you can stop you! Stop looking at their departure! It is “MINUS THEM PLUS PROGRESS!” Start seeing a better tomorrow without him or her because MANY MORE ARE COMING! NOBODY IS YOUR GOD! Cut off that emotional attachment to him/her! Let them go because many more are still coming! Stop crying! Stop feeling you are a loser because you lost them! NO! NO! NO! Those that left you are the losers because they were not counted qualified to be a part of your tomorrow! 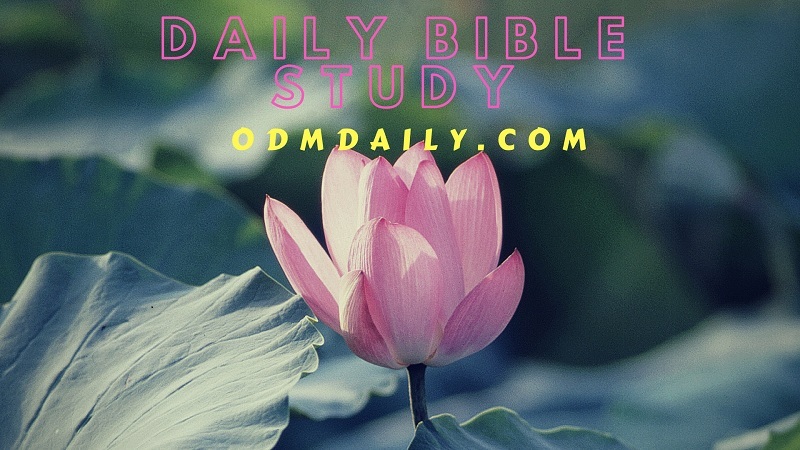 Our Daily Manna ODM Today 9 February 2019 – STOP THE WEEPING! YOUR “MATTHIAS” IS COMING! Wow! I have just been told that God will replace everyone who betrayed you and left! Yes! I heard it loud just now at 4.22am as I write! Ah! Pray seriously now: (1). Lord, REPLACE every JUDAS that has ever left my life and ministry! (2): Lord, send me my Matthias! Send a HELPER that will be more than those who have ever left me! (3): Lord God, heal me emotionally concerning anybody whose departure is hurting me! (4) Holy Ghost, shake away the WRONG PEOPLE from my life, family and ministry in this year 2019! Thank you Jesus! I shall not weep! I shall not mourn! I shall not end up in shame or die! I refuse to dwell in the past! I dwell on my tomorrow and I release FORGIVENESS to them because like Judas, they will meet their waterloo! Thank you Lord for sending that REPLACEMENT for every Judas! Thank you Lord for sending that REPLACEMENT for every Judas! Thank you Lord for sending MATTHIAS to replace that man/woman! Amen and amen! Today is the Asaba Special Anointing Service 7.30am. Theme: “Satanic Saloons: Catch fire!” Those who planned to SHAVE YOUR HAIR (your GLORY) THIS YEAR WILL RUN MAD! Venue is the CENOTAPH. I Shall Lay Hands on all Present! Bring your 2019 prayer points! Call 08034907299, 08034229435 or 08033461818 for details. READ Daily Manna Devotional 6 March 2019 - THE GOLDEN STATE KILLER: SIN FASCINATES, THEN ASSASSINATES!! 1. In your own words, pray about today’s word as led now. Our Daily Manna ODM Today 9 February 2019 – STOP THE WEEPING! YOUR “MATTHIAS” IS COMING! 2. I choose to be a SOLUTION CENTRE this year! I shall not be an agent of TROUBLE for others! I shall focus on SOLUTIONS to PROBLEMS wherever I go today! So help me God in Jesus name. 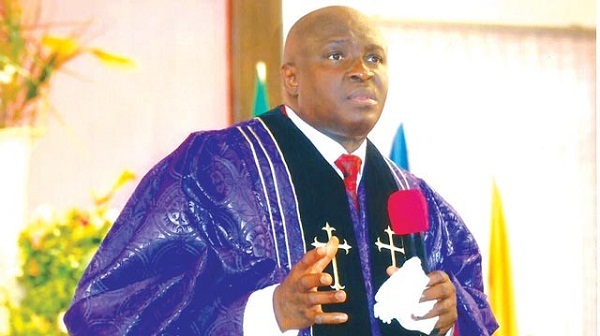 Our Daily Manna ODM Today 9 February 2019 – STOP THE WEEPING! YOUR “MATTHIAS” IS COMING! Previous Post:Daily Manna ODM 8 February 2019 – COLLECTIVE CAPTIVITY: LORD, CHANGE THE RULE THIS 2019! Next Post:OUR DAILY MANNA 10 FEBRUARY, 2019 – SHE BREAST-FED ANOTHER PERSON’S CHILD!